.NET Core Windows Desktop Apps! Where it will run your .NET Core App and host it inside an Chromium Embedded Framework (CEF) browser. 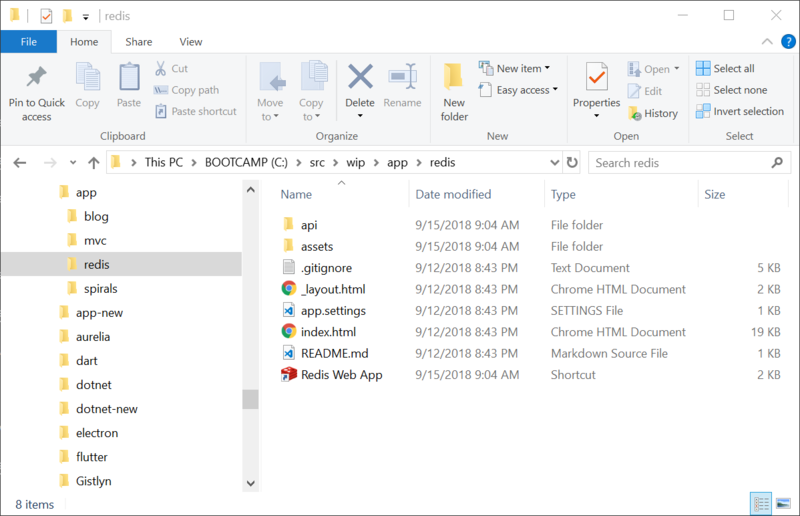 This provides instant utility for being able to deploy .NET Core Apps end users can run locally using Chrome’s leading and consistent rendering engine within a Windows Desktop Application. app includes a number of features and deep integration with GitHub that makes running .NET Core Chromium Desktop Apps a seamless experience. To illustrate this we can install any .NET Core project from GitHub by specifying the project’s name along with the name of the GitHub User or Organization via the --source argument. If you don’t have a .NET Core Application on-hand to try it on, you can use any of ServiceStack’s .NET Core Templates which are all functioning .NET Core projects in their own right. Which will download and unzip either the Project’s latest release, or an archive of master if none exists. Which by default opens .NET Core Web Apps Gallery in a CEF browser or can also be customized to open any URL by changing the APP_GALLERY environment variable. When running the .NET Core MyApp.dll, it effectively runs an external dotnet MyApp.dll process, pipes the output to the console and launches a CEF browser with the url in ASPNETCORE_URLS. Call CefPlatformWindows.Start(config) to launch the CEF browser with your preferred customizations in a Windows 64bit OS. CefConfig.cs supports high-level configuration where you can change the Window size and position, icon, title as well as the CefSettings and CefBrowserSettings the browser is launched with and whether to enable or disable the ALT+LEFT/RIGHT Navigation Keys, F5 Refresh or F11 Chrome Dev Tools. Eventually we intend to provide different packages using the same high-level CefConfig settings to simplify the effort required to run .NET Core Desktop Apps on different Operating Systems. Which will upgrade to a newer CEF and app versions as they’re released. app also lets you know if there’s a newer version available after running the list, gallery and -v commands. Where you can use app init nginx to generate a common nginx template configuration for reverse proxying .NET Core Apps, making configuring Linux deployment servers for your .NET Core Apps less tedious. 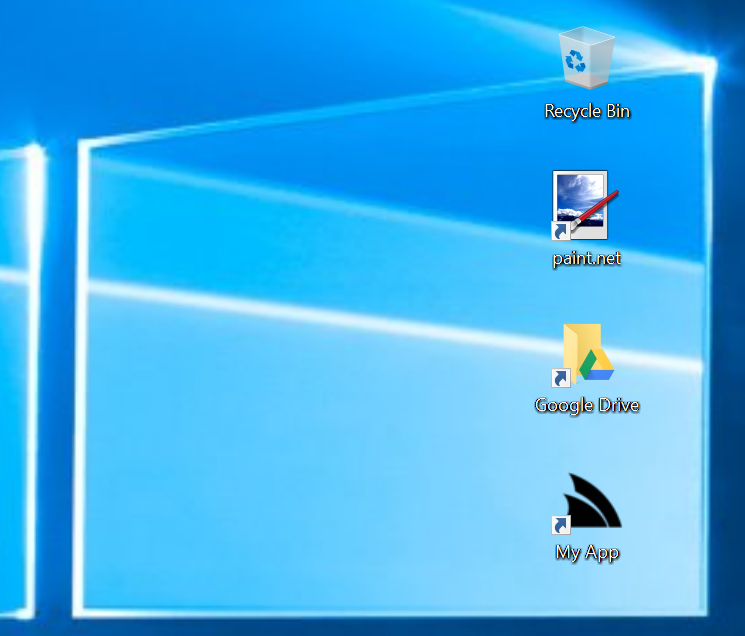 Chrome Desktop Apps are increasingly becoming the preferred approach for developing Desktop Apps today, they benefit from the vast amount of resources Google invests in developing their most important Desktop Application in Chrome and its Chromium project which provides the Chrome rendering engine in popular frameworks like CEF and Electron that’s used to power many of the actively developed Desktop Apps today like VS Code, GitHub Desktop, Twitch.tv, WhatsApp, Slack, Skype, Discord, Signal, Microsoft Teams, Microsoft SQL Operations Studio and hundreds more. Whilst CEF is used to render Web content in popular native Desktop Apps like Spotify, Stream, Facebook Messenger, Adobe Acrobat, Adobe Creative Cloud, Amazon Music, Battle.net, Evernote as well as game engines like Unity3D and Unreal Engine. Ultimately what “Web Desktop Apps” provide most is value, with easy access to advanced Web technologies, rich layout and design techniques, live debugging inspector, navigation, deep-linking and offer significantly greater ROI when needing to support multiple Operating Systems or an online hosted version of your Software. Even without the code-reuse of targeting multiple platforms they offer a leap in productivity for many classes of Apps, e.g. the depth and velocity of VS Code’s frequent releases are rarely seen in Native Desktop Apps. Of course if you can offer software hosted on the Internet that would typically be the preferred approach for increased accessibility, maintainability and reach to your Software. But there’s a number of use-cases that would benefit from a Desktop App, e.g. any offline tasks, management of personal data, access to Native Desktop features, local computing and infrastructure resources or to avoid maintenance and management of a central hosted server. Places where you’re using Windows Services could be better served as a unified Packaged Desktop App where you can ensure consistent behavior by using the same tested Chrome rendering engine to run your App, mitigating any environment, versions and cross-browser issues. 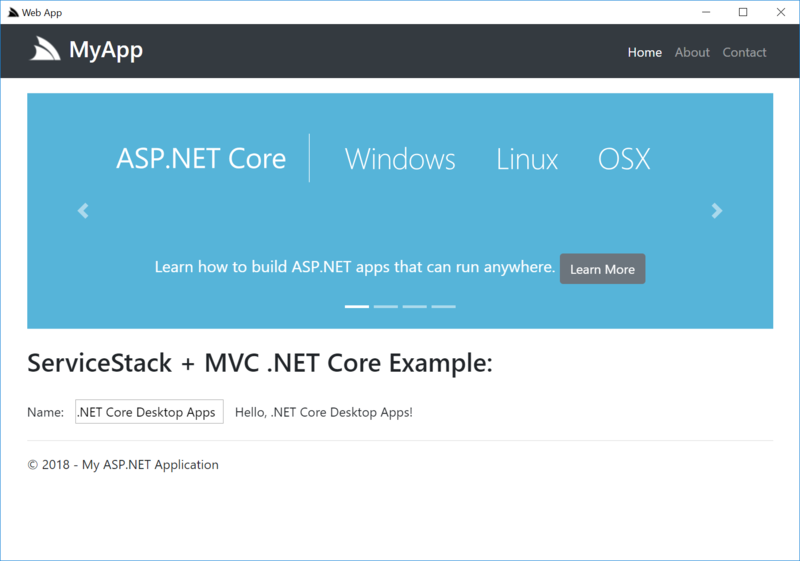 Whilst app is useful for running any Windows .NET Core Desktop App, it provides the greatest value for running ServiceStack .NET Core Web Apps - a revolutionary new simplified development model for developing .NET Core Apps which eliminates much of the friction .NET developers have historically had to face. Web Apps require no builds/compilation, wait times, complicated build tooling, configuration, incompatible dependencies, dev tools or IDE’s. Web Apps are highly customizable by nature as they’re delivered and run in source code form, requires no external dependencies or dev tools as they can be edited by any text editor whilst the app is running. They’re also significantly smaller than normal Web Apps since the app tool already contains the shared binaries that all Web Apps use - making them easier to deploy, install and update. Which opens the Web App Gallery Gist where you can request for your Web App to be listed in the gallery by commenting on the gist with a link to your project. We’ll review it and if it’s acceptable we’ll fork it in NetCoreWebApps which creates a “link” to your project where it will be automatically listed. All existing app installs will be immediately able to install your App, which either installs the latest published release or from master if it hasn’t published any releases. Or by double-clicking the Blog Web App Desktop shortcut. At the bottom of each individual post shows the content used to create it, e.g. the Live Document Example shows an example of maintaining a live budget with a dynamic list of projected savings. 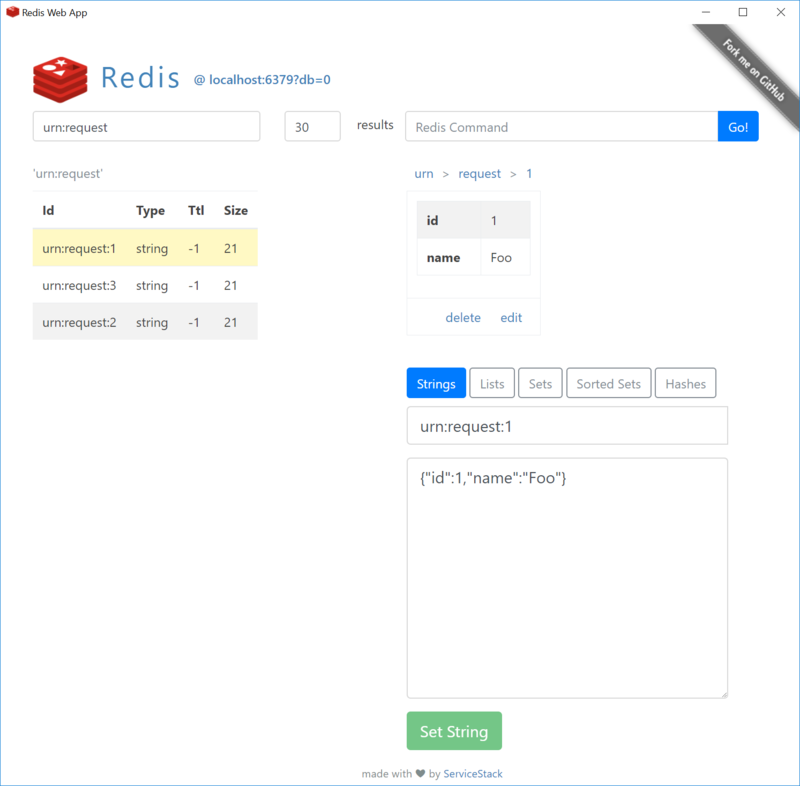 From SQLite powered blog, lets install something entirely different - a Redis Admin UI! 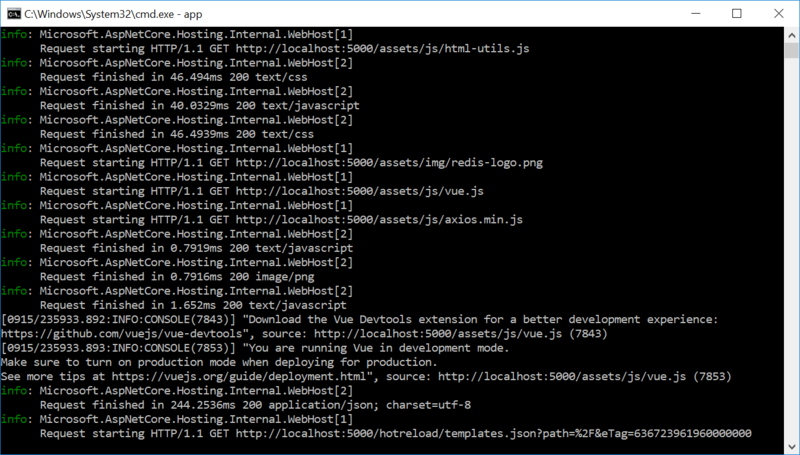 What differs this from other Redis Admin UI’s is its terse implementation where its entire custom UI is contained within a single index.html page thanks to the expressiveness of both Vue and #Script. Its minimal size makes it easy for curious and advanced Users to customize and add features since they can make them locally and see their changes in real-time. Its simpler implementation makes contributions easier as they only have 1 page to edit and can paste their changes directly using GitHub’s Edit UI to easily create a pull-request where it can be reviewed and merged. Which will replace their existing version with the latest release. 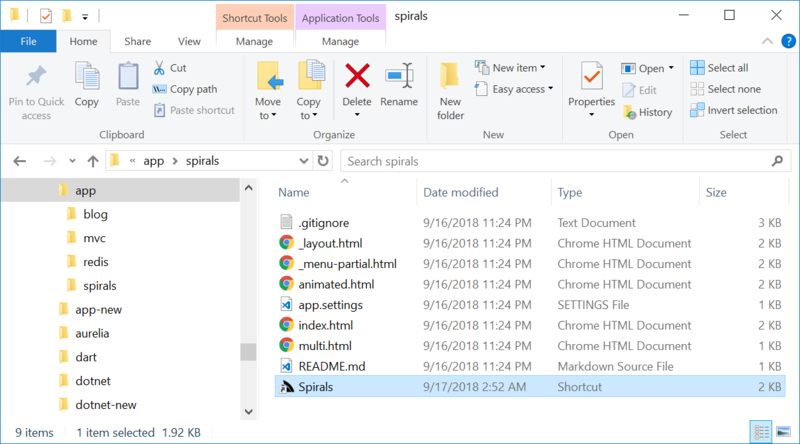 Now that we’ve seen how easy it is to Install and use existing Web Apps, lets walk through how easy it to create one of our own. We could have started from one of the more complete Web App Templates but this gives us a minimal App generated from this gist. This gives us a Live Development experience in debug mode where it injects a script that will detect file changes on Save and automatically reload the page at the current scroll offset. This evaluates the included _menu-partial.html with the links to different routes we want in our Menu on top of the page. The body of our App is used to render the title and contents of each page. If pages include any scripts they’ll be rendered in the bottom of the page. The raw filter prevents the output from being HTML encoded. But can also be used for executing ad hoc Template Scripts. Here we can drop in any mix of HTML and templates to view results in real-time. You can use ALT+LEFT + ALT+RIGHT shortcut keys to navigate back and forward to the home page. With the help of SVG’s <animate> we can easily bring our spirals to life by animating different properties on the generated SVG circles. 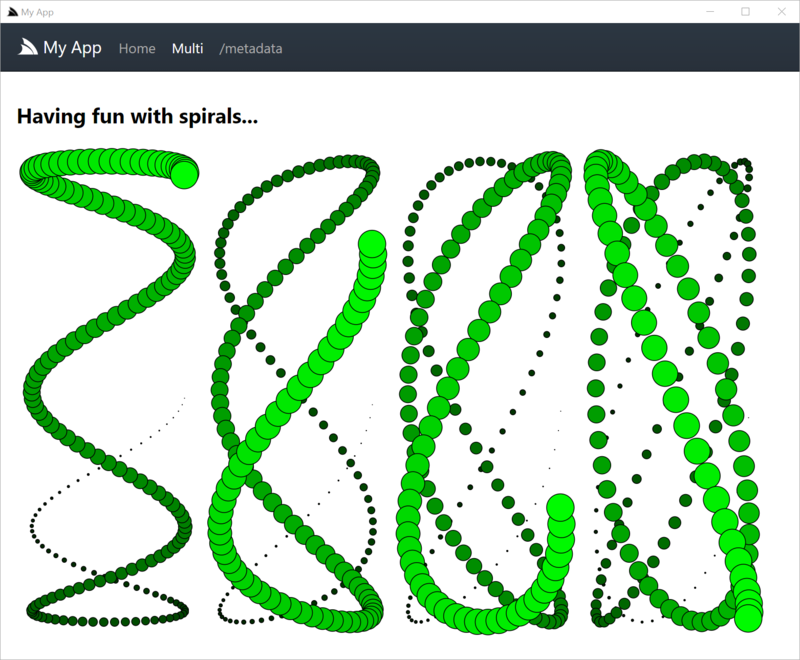 Checkout spirals.web-app.io for the animated version. If you’ve found more interesting ones, let me know! If you’ve reached this far you’ve created a beautiful Desktop App without waiting for a single build or App restart, in a live and interactive environment which let you rapidly prototype and get real-time feedback of any experimental changes, to produce a rich graphical app with fast and fluid animations taking advantage of the impressive engineering invested in Chrome, implemented declaratively by just generating SVG markup. As Bret Victor shows us in his seminal Inventing on Principle presentation, being able to immediately visualize changes gives us a deep connection and intuition with our creations that’s especially important when creating visual software like UIs where the rapid iterations lets us try out and perfect different ideas in the moment, as soon as we can think of them. It’s a good example of the type of App that would rarely be considered to be created with a native GUI toolkit and 2D drawing API, the amount of effort and friction to achieve the same result would take the enjoyment out of the experience and the end result would have much less utility where it wouldn’t be able to be re-used on different OS’s or other websites. 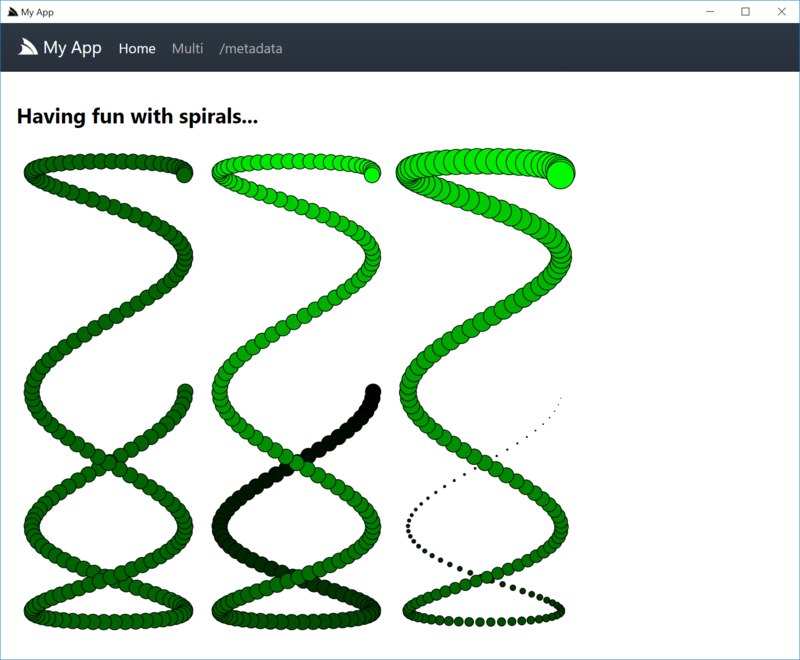 To share our digital masterpiece with the world we just need to publish it in a GitHub repo, which I’ve already done for my Spirals app at: https://github.com/mythz/spirals. This includes all app binaries needed to run Web Apps which compresses to 89 MB in a .zip or 61 MB in 7-zip .7z archive. 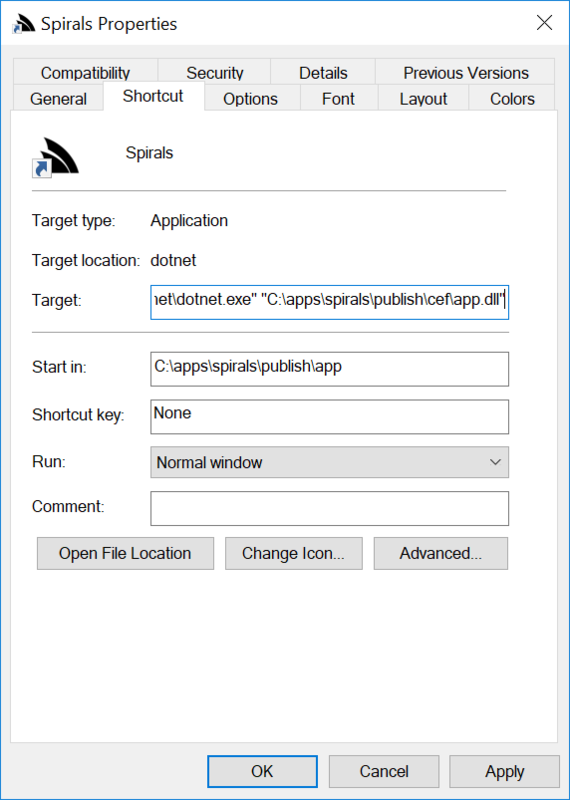 This downloads the WebWin self-contained .NET Core 2.1 binaries and copies then to publish/win folder with the app copied to publish/app. This publishing option includes a self-contained .NET Core with all app binaries which compresses to 121 MB in a .zip or 83 MB in 7-zip .7z archive. A beautiful feature of Web Apps is that they can be enhanced and customized in real-time whilst the App is running. 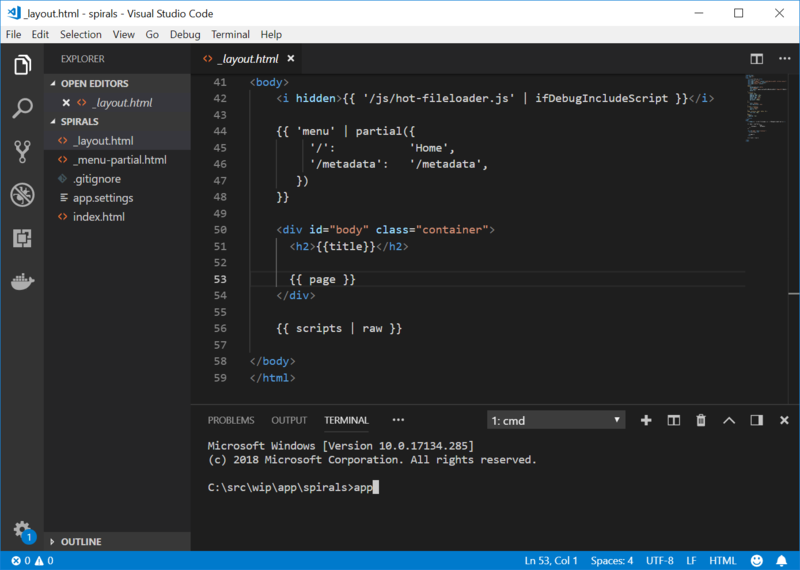 No pre-installation of dev tools or knowledge of .NET and C# is required, anyone can simply use any text editor to peek inside .html files to see how it works and see any of their customizations visible in real-time. We’d loved to see this aspect of Web Apps utilized as we believe it creates an enjoyable environment that’s an easy introduction for curious people who are new and want to learn programming. We believe it can serve as a great tool to have in a classroom where students can install a “half-finished” App that students can have fun experimenting with and complete. Another capability not obvious in Web Apps is that they’re highly extensible as you’re not limited to just using the built-in methods and can easily extend the language with your own custom blocks and methods to be able to call any .NET method via Plugins. Up until now we’ve seen how easy it is to run and install Web Apps in a Windows Application but what about our friends not using Windows? and how can we deploy our app as a website? 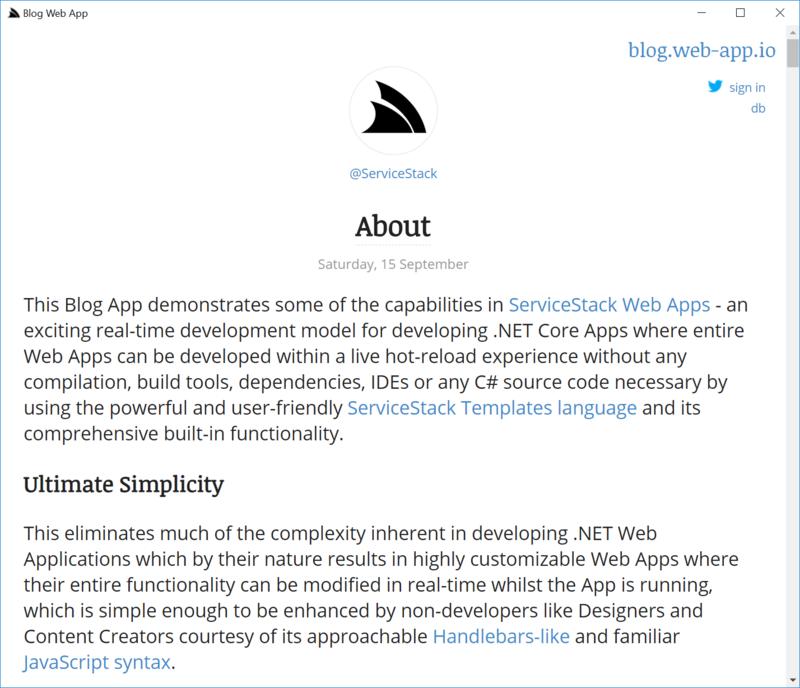 For that we’ve created the web dotnet tool which is built from the code-base and has the same features as app but without any dependencies on Windows so it can be used wherever .NET Core can, i.e. on Windows, macOS or Linux. Since Web Apps don’t require any builds or build tools we’re able to re-think the experience of developing Web Apps which are not shackled by the traditional constraints of developing with .NET. For these reasons we’ve made web the primary way of developing Web Apps and converted all existing Web App Templates and Web App Demos to use it. 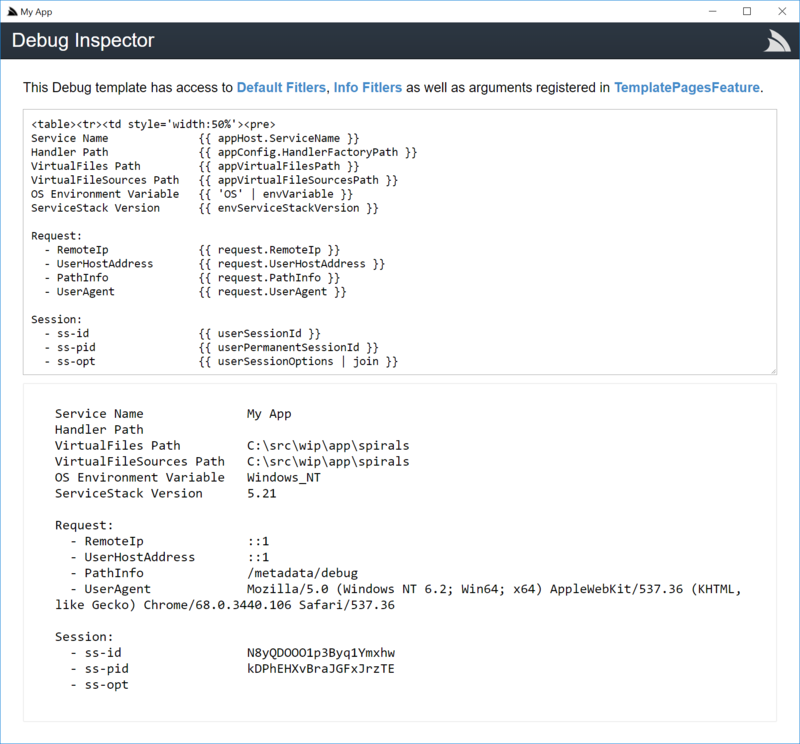 The experience of developing the dotnet web tool shows us how easily we can deliver value-added functionality that benefits all Web Apps. By contrast in normal .NET Applications any efforts like packaging your App in a Windows Desktop Application is bespoke to your Application whereas since all Web Apps run the same binary we can build this functionality once in the app tool that now let’s all Web Apps run within a Windows Desktop Application. Where it will run it as a .NET Core app at ASPNETCORE_URLS if specified, or http://localhost:5000 by default. 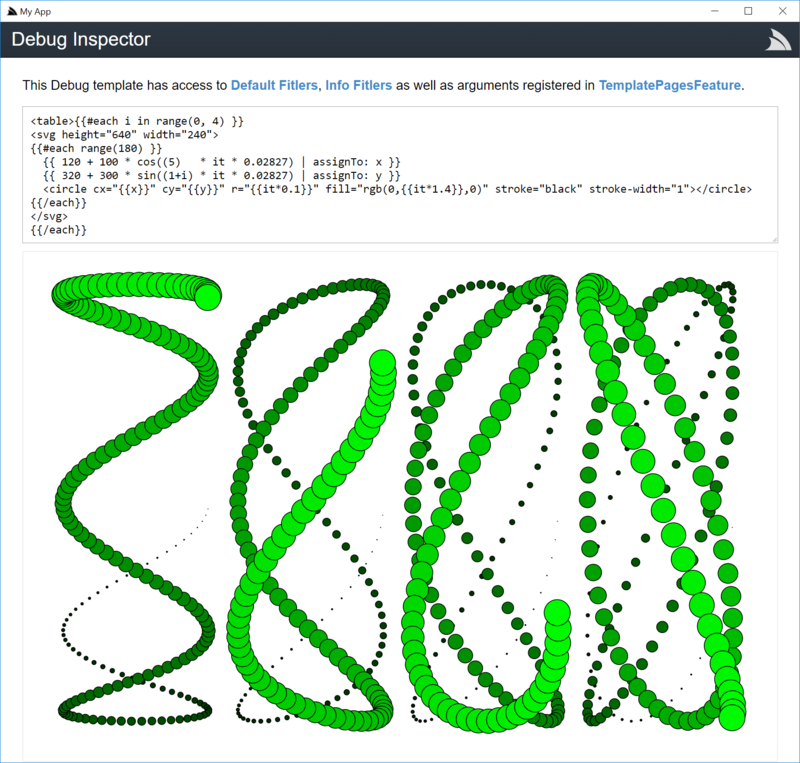 It will create either spirals.bat or spirals.sh depending on whether its run on Windows or macOS/Linux. E.g. 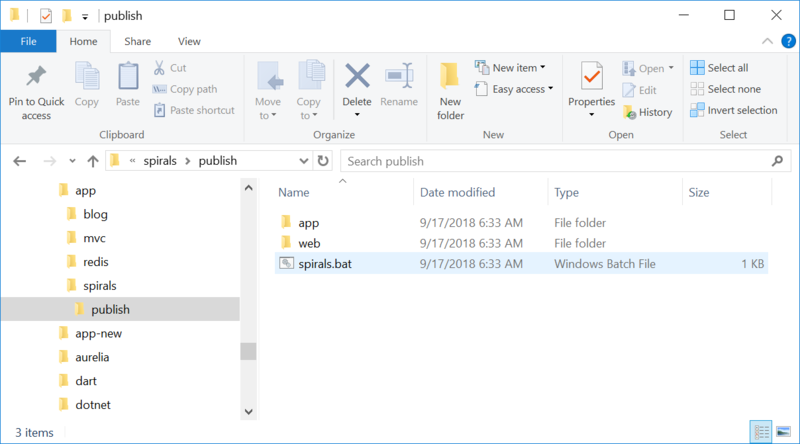 double-clicking start.bat will run spirals as a .NET Core website on http://localhost:5000 and open the URL in your preferred web browser. As it’s just copying the pre-built binaries from WebWin. The same web tool for developing Web Apps on Windows is also used for deploying and hosting them on Linux that sports new templates to make the process effortless. 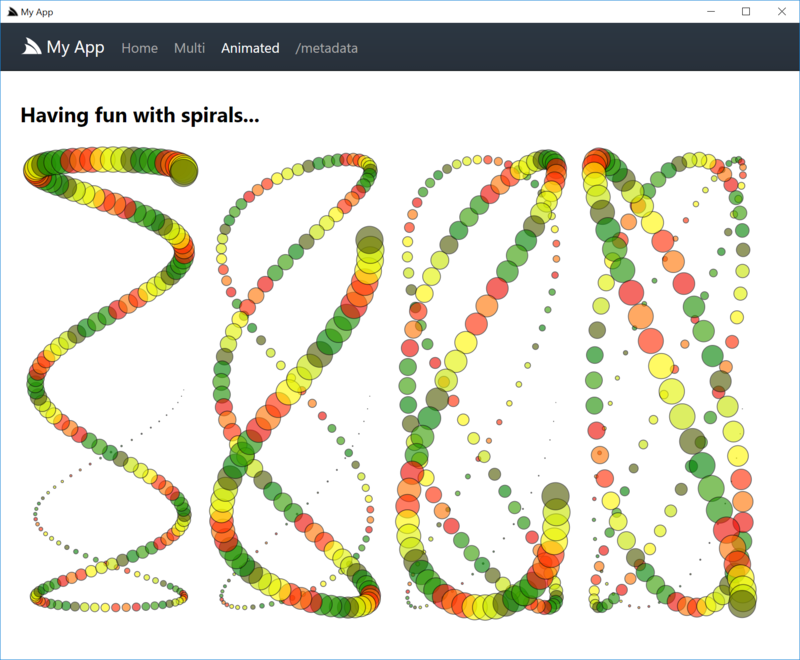 We’ll walk through how spirals.web-app.io was deployed. 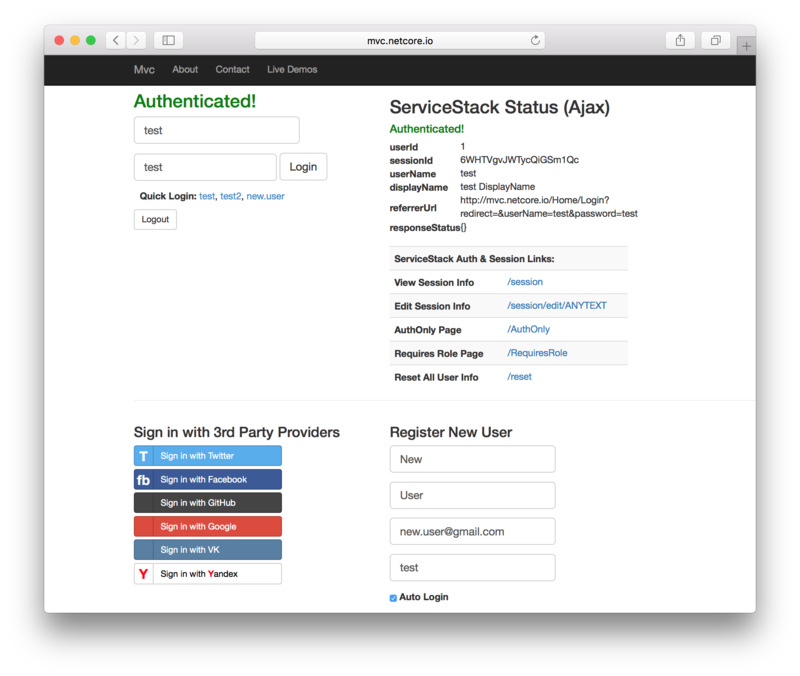 If you haven’t already create a new deploy user account then set up SSH and copy over your SSH public key to your remote server. The --release flag overrides debug in app.settings so it’s always run in release mode. 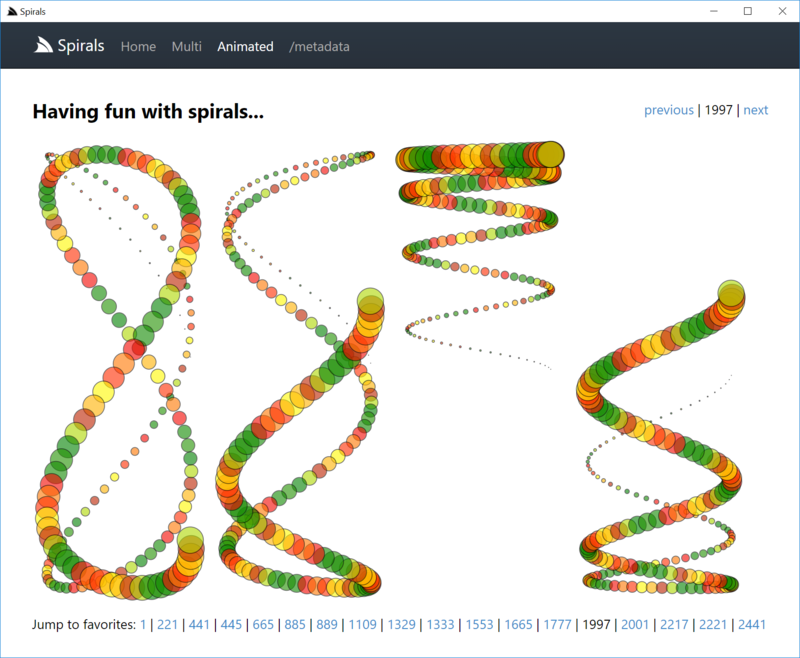 Where your website will now be up and running at: spirals.web-app.io. ssh -t deploy@web-app.io "cd /home/deploy/apps && sudo /home/deploy/.dotnet/tools/web install spirals --source mythz && sudo supervisorctl restart app-spirals"
Let us know what you create! We hope you’re excited about these new features as we are and can’t wait to see what you build with them - please share them with us so we can include it in the App Gallery and make it easy for everyone else to discover and use. The GoogleOAuth2Provider has been updated to resolve a change Google made to their OAuth endpoints which required moving to a hybrid solution to by-pass DotNetOpenAuth to handle the last pass of the OAuth flow. In addition we’ve created a new GoogleAuthProvider without any dependencies to DotNetOpenAuth so it can be used in both .NET Framework and .NET Core projects where it’s now our preferred OAuth provider for Google. The JsConfig internals have been refactored to use “config snapshots” where new Scopes are created with a copy of the global configuration so it’s no longer accessed when serializing/deserializing with a custom scope. Which is now the preferred way to initialize global configuration where it will throw a NotSupportedException if attempting to change Global configuration at runtime which isn’t supported. You need to use a custom scope if you want to use different serialization settings at runtime. The problem with using optional parameters is that adding new optional parameters is a binary-incompatible change which requires re-compilation if a newer version of ServiceStack.Text has added new configuration option.